I don’t know if we are just strange or what but poop and Dan’s bathroom habits are a routine part of conversation, no matter the time of day or what we are doing. At my in-laws this weekend, we were all eating and Dan disappeared. Different people asked me on different occasions where he was and each time, it got us on the topic of Dan pooping. Now, for most people this might be gross, but for people with Crohn’s and Colitis, this is totally normal. They spend more time than normal in the bathroom than other people, so it makes sense that those with it talk about it more than others. We also talk a lot while he is in the bathroom. I ask him how he’s doing and show him funny things on the computer. Or if he has his phone, I text him while he’s in there to make sure everything is okay. 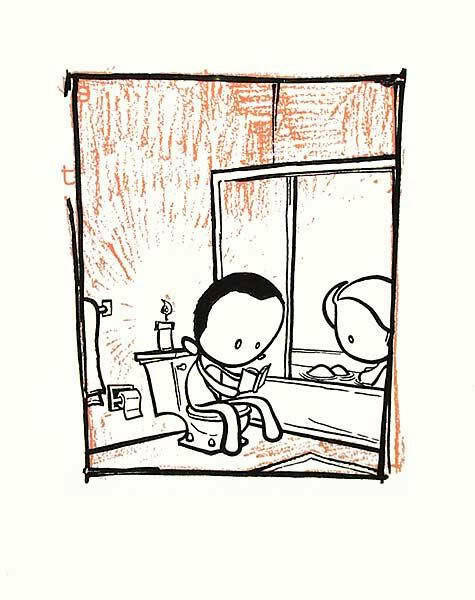 Does anyone else find that, ever since they received their Crohn’s or Colitis diagnosis, they talk a lot about their bathroom habits or poop without shame? Do you think it’s weird to do or part of life?